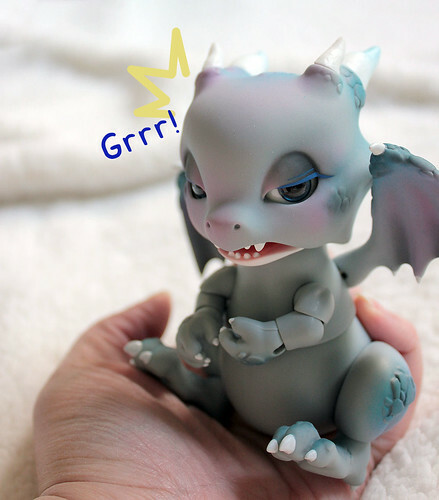 I planned this review of the Peak’s Woods Fairies of fairytales body when my Leo arrived, but better late than never right? I apologize in advance for the grainy pictures (and some weird shadows) but I didn’t had too much light and had to repeat some photos the next day using the kit lens because the 50mm. one wasn’t focusing everything and I didn’t have more space to go move back to take the picture. In any case I did my best to give you clear photos, hopefully they will help you. I tried to do all the typical poses I’ve seen in other people’s reviews, but if you think I missed something important or want me to try something else, let me know and I’ll try to add it later. PW FoF body was renewed in 2012, november. This is the updated version. you can check their notice about the changes here. 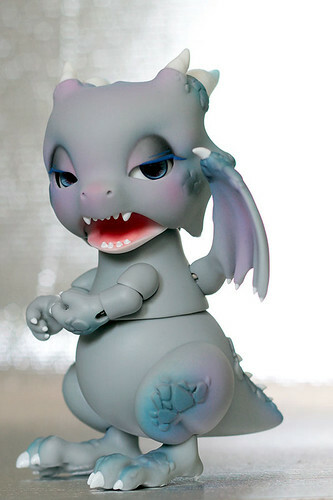 Dolls haven’t been hot glue sueded nor been in any process of posing enhancement. They are right out of the box like the company sent them. 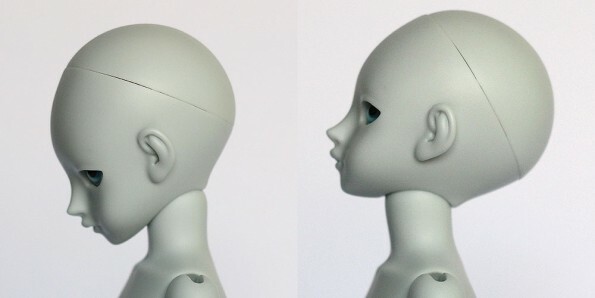 Front view of the girl body (normal skin) next to the boy body (blue grey skin). Notice Lady Alice has the extra pair of hands on, while Leo has the default ones on. Both dolls came with 2 pairs of hands. The back of both genders is the same. Normal skin hands are the default ones. 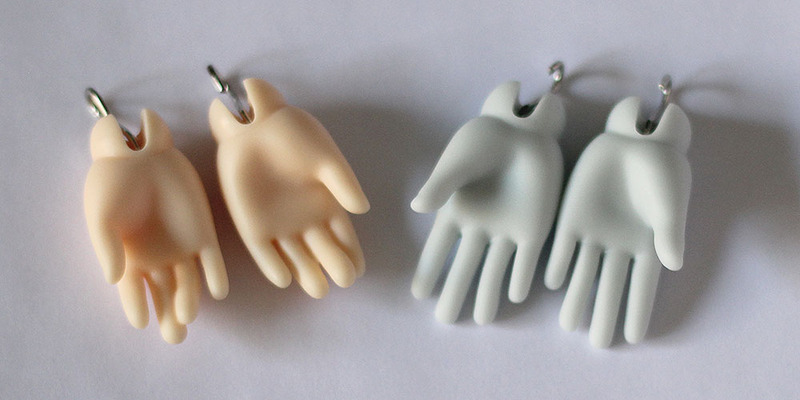 Blue grey hands are the extra pair that comes with all the FoF dolls. Other view of the hands. Head movement range. It looks very natural. Head range to the sides. 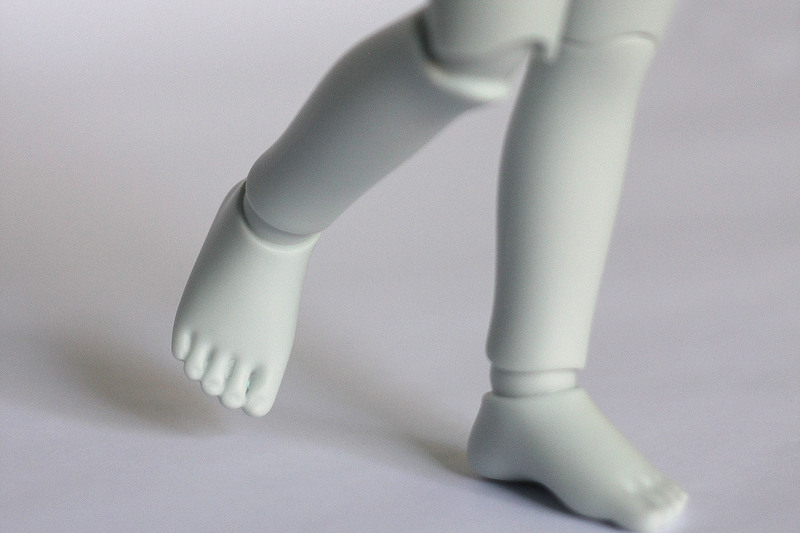 FoF body is really easy to stand and very stable on its 2 feet. It can also stand while only one feet is touching the ground. Close up to show how the right foot isn’t touching the ground. Arms can move and stay in position up, down, to the sides really easily. Notice that while the arms are double jointed, the legs are single jointed. 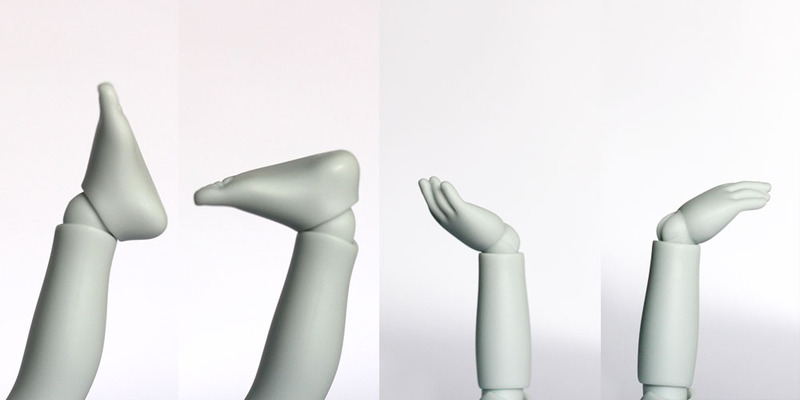 Since the arms are double jointed, it’s really easy to make them hold poses like touching his face. 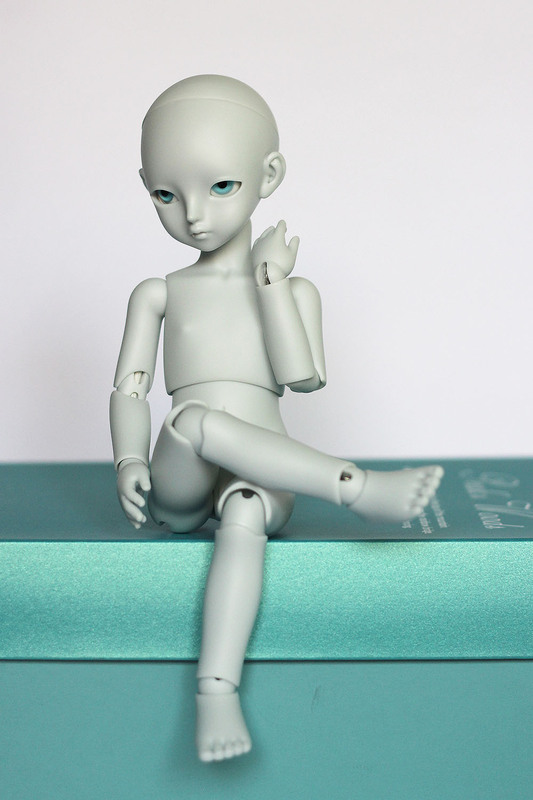 Sitting like this is SUPER easy, I’ve seen dolls that can’t keep the legs together while sitting on the ground. And his back stays pretty straight while sitting. He can cross one leg while sitting. More arms movement. Isn’t He the cutest? 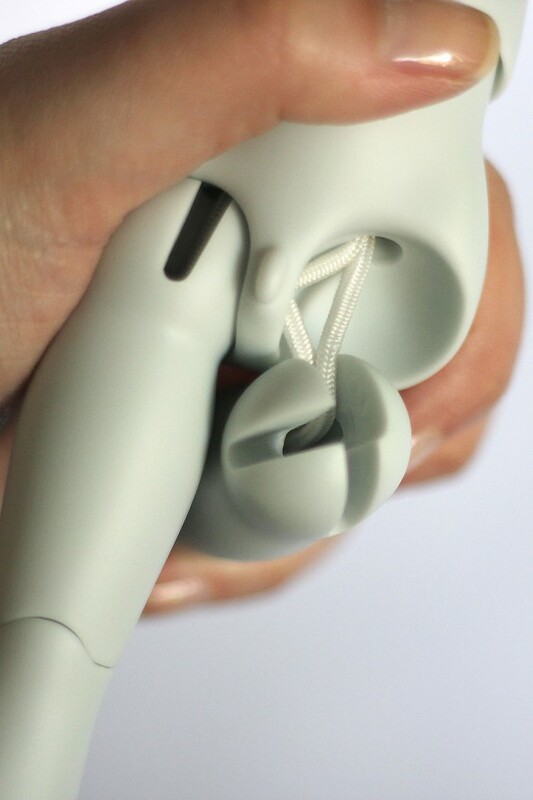 This system is what makes the leg move so good and lets you sit the doll smoothly, as well as doing other legs positions. Depending on the pose, you need to pass the elastic for one of the three different sides. With a bit of work, He can do some more extreme one leg standing. This is a very easy and stable pose. I tried the most common pose (doing a “w” with the legs, or swarico pose if you remember those Volks times), but this is the best I could do since the knees are single jointed. He’s sitting without support, his right hand isn’t touching the floor, though you can’t really see it. Torso movement to the sides. The torso in general is very limited, but most dolls have very little range there anyways. Side to side is enough though. Range movement for feet and hands. Like I said, the torso is very limited and this pose would improve A LOT if you could bend the torso slightly to the back. I think this can be improving by using hot glue in there, but there’s no place in Chile where I can buy a low temp glue gun, so I can’t try it out. It’s not possible to bend the knees while sitting on the ground with the back straight. But if you want your doll to look like He’s doing crunches, this works! And that’s all the photos!! I hope you find them useful. I’m really happy with this body overall, I just wish I could make the torso stay in other positions other than straight. For a single jointed leg I think the range is amazing and the poses look very natural. I’m also in love with the double jointed arms, since it lets you move them everywhere. This is my first body with double jointed arms (or at least the first that works properly, I’m looking at you Lucas XD). It looks like a great body 🙂 I like how natural it all looks, while still being interesting poses. Also it’s a really cute body. 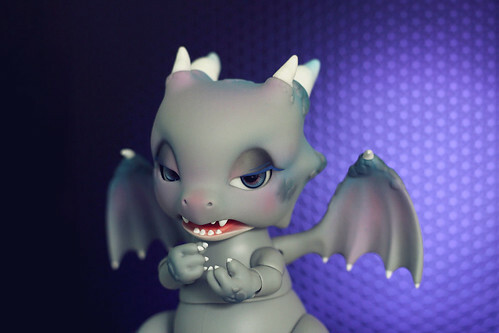 Wish I could see it compared to a SOOM double jointed Teenie Gem body. I wish I could help you there but I only have the Teenie gem centaur body, so that’s an useless comparison. I can’t remember if the centaur body has double jointed arms or not, but I do remember fighting a lot to make them hold poses, while I don’t with the FoF body. Awesome photo series! You are good at posing them naturally. Thank you for reviewing this body. It looks like it is quite a good poser. I love that the body can stand on one leg. I don’t believe any of my dolls can do that but I haven’t really tried. Too nervous! My dolls can’t really bend back far when they lie down either. The minifees are supposed to be able to do that but mine has the bigger bust size so I think it has something to do with that. I also love that last post – very Zen. I don’t often try to stand dolls on one foot, but it’s something that can be done with a lot of patience with many dolls (I think), specialy small dolls (though my supia Rosy was able to do this when she was tightly strung). I don’t need the torso to be able to bend much, I think there’s not many dolls that can, but I liked that of my DollShe boy when I had it and I think it’s only a matter to have something to keep the piece in place, since you can move it, but it goes right back to place once you let go. Maybe your minifee needs a bit of sueding or restring? I’ve seen those dolls do anyhing! but I get how the bigger bust could be causing some restriction. Thanks for posting and taking the time to photograph all those poses Alejandra. It’s a great review, I love my Lady Alice for all the same reasons. think PW renewed the FOF body at some point, or do I remember wrong? My Lulu probably has the old body since I don’t think her arms are double-jointed, need to check once I get home XD Seeing these photos kind of makes me want to upgrade her body to the new one, but I find the smaller dolls quite easy to pose even if they’re single-jointed, so maybe I’ll just let her be XD Would be fun to compare the posability though! 1.The elbow joints are double-jointed now. 2.The back of the Knee joints look more neat and natural. 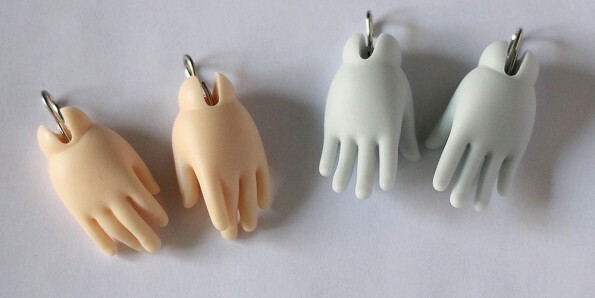 3.Basic hand parts are now two pairs and one of them look different from the previous one. 4.There’s a slight change in body shape as well. So those would be the changes. I think I’ll add the info to the blog post as well, thanks for pointing it out! I wish I had more yoSD sized dolls so I could make comparison shots. I love these kinds of body reviews! I guess I should also start doing some since they’re very helpful! I love the picture where he suddenly looks like he’s picking his nose xD! This is a great review!!! The body looks amazing and has a great poseability! Thanks!! I’m impressed with the poseability as well, and so happy I own 2 od these babies X)!!! This was a nice review, loved to read it and those two dolls look so cute. Amazing that the boy can stand on one feet, just like that. And I agree with the others, they look so natural. The extra pair of hands are just great! It would be nice to have other pairs for different posing – so that is something I miss with my dolls. Thanks!! I love extra hands as well, but I don’t like changing them lol I’m so lazy~ But if they offered more hands I probably would got more haha XD I hope they do in the future!